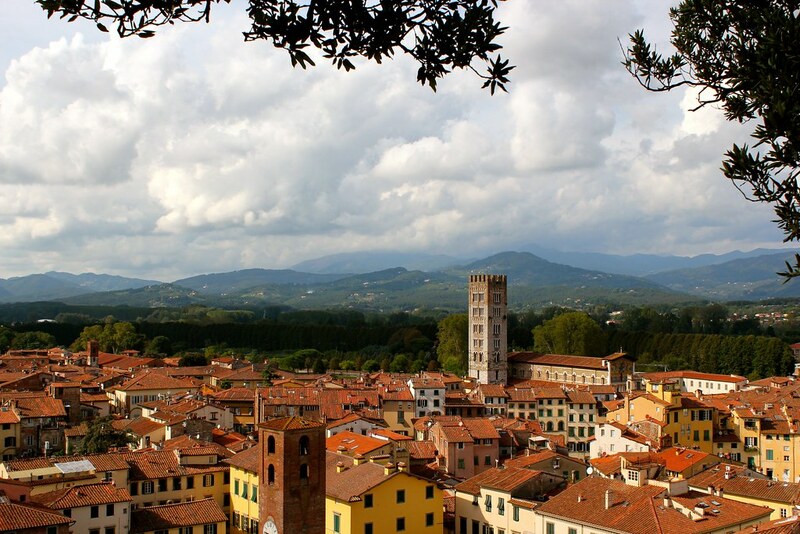 One Day in Lucca: How to Spend Your Time? Only have one day in Lucca? You can still see most of the highlights of this charming city. 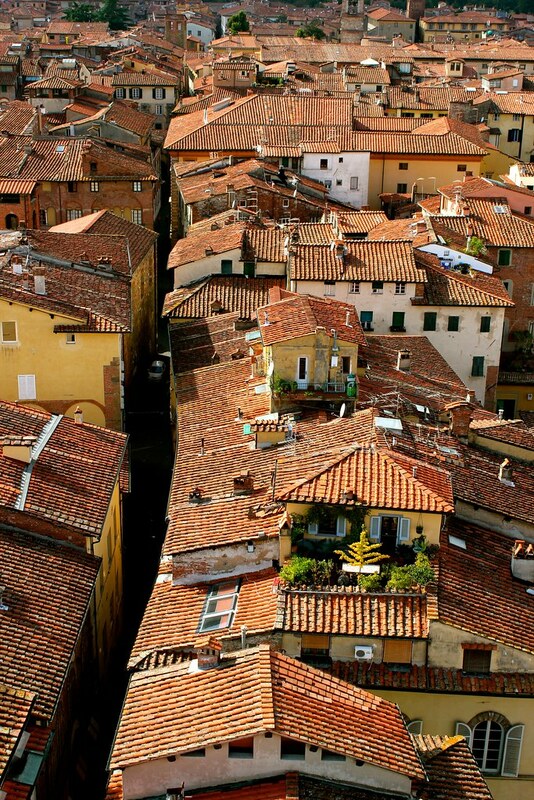 It’s so easy to fall in love with Lucca, Italy. 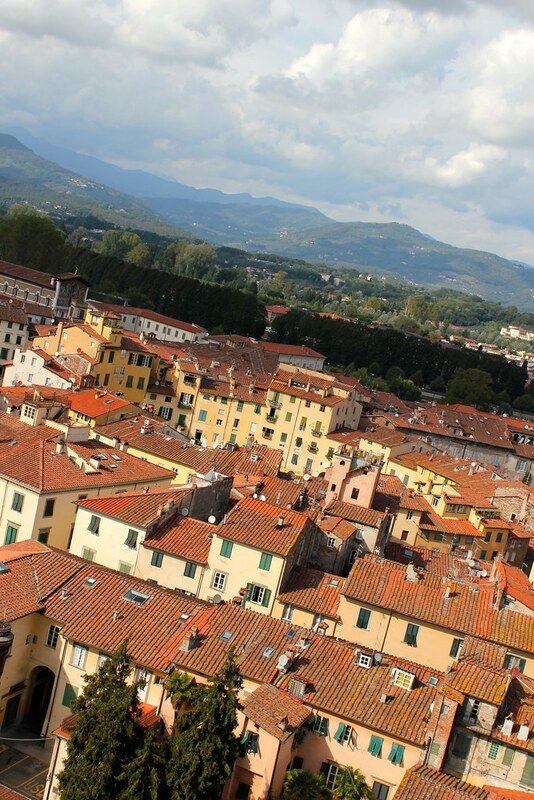 Dare I say it – but I think Lucca is one of Tuscany’s best-kept secrets. Whether you have one day in Lucca or more, I’ll show you everything you need to know to make the most of your time! And if you’re planning a trip to Italy, make sure to check out my top Italy travel tips for first-timers, as well as a list of the 20 best places to visit in Italy. Situated in northern Tuscany in between Pisa and Florence , Lucca is off the beaten tourist path in Italy of Rome , Venice and Florence. Two years ago, I had the chance to spend a week in Lucca soaking up all of the charm this city has to offer. When it comes to where to stay in Lucca, there are two choices: inside the city walls, or outside the city walls. If you don’t have a car, I highly recommend staying inside the city walls, because you’ll easily be able to get anywhere you need to go on foot. If you do have a car, you can stay outside the city walls, and you’ll still have flexibility with transportation. Within the city walls, I highly recommend Hotel LaLuna. The location is perfect and the hotel staff couldn’t be more kind. Outside the city walls, check out Albergo Celide. First thing to do in Lucca? Get yourself some wheels. Everyone in Lucca has a bike and once you see how narrow the streets are, you’ll understand why. 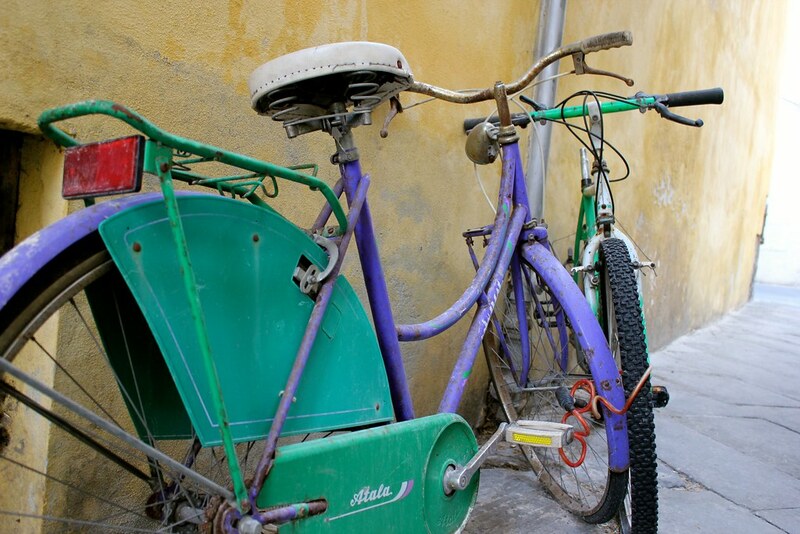 Bike in tow, head to the walls that surround the city of Lucca, Italy. The walls were built in the 16th and 17th centuries but they’re still in near perfect condition. Lucca actually managed to escape bombing in WWII so the composition of the city center hasn’t changed in hundreds of years. The walls are about 30 feet high and there’s a wide pathway on top which today is a bike path / walking path / place to see and be seen on a Sunday afternoon. The whole thing is about 3 miles in circumference so a lap or two will put you in good shape to enjoy plenty of pasta! 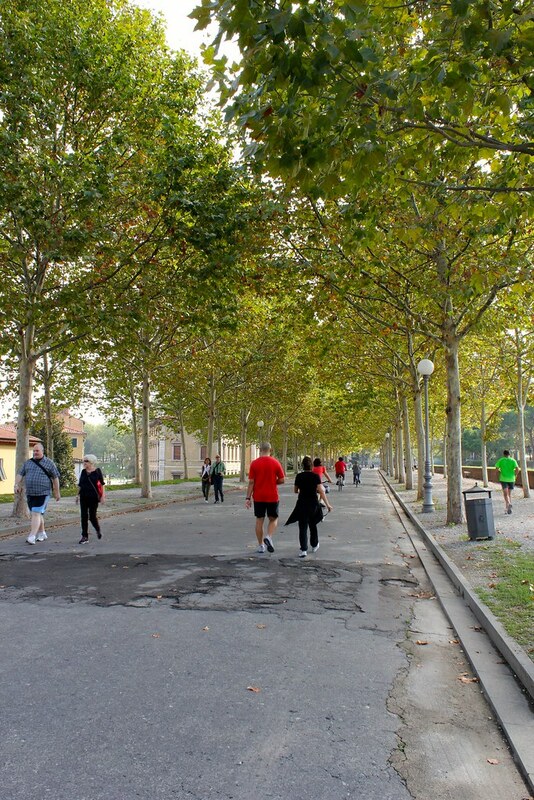 Next, head up to the Guinigi Tower for a bird’s eye view of the city and more cardio – it’s all stairs to the top but you’re rewarded with a gorgeous view of the red rooftops of the city and the mountains in the distance. 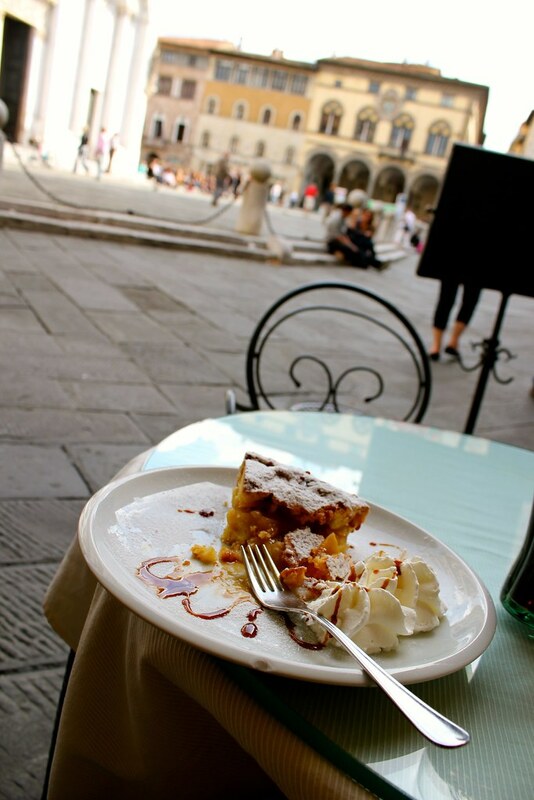 There are plenty of dinner options in the picturesque Piazza Anfiteatro, an oval-shaped piazza in the heart of the city. Sip on wine that’s cheaper than water (no really) – but delicious – and enjoy some of the regional cuisine and local produce. There is a Puccini concert ALMOST every night in Lucca (check the schedule in the link). Lucca was Puccini’s hood – he was born there and grew up in the city. 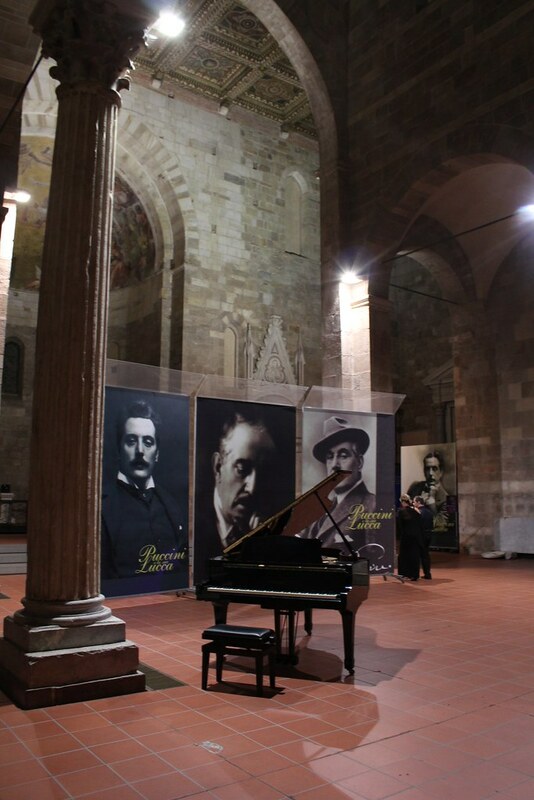 The church where the concerts are held is actually where Puccini was baptized and even played the organ as a teenager. In addition to having an awesome mustache, Puccini was an amazing opera composer – he’s best known for La Boheme, Tosca, and Madame Butterfly. He was also rather scandalous – he had a longtime affair with a married woman before marrying her himself (must have been the mustache). 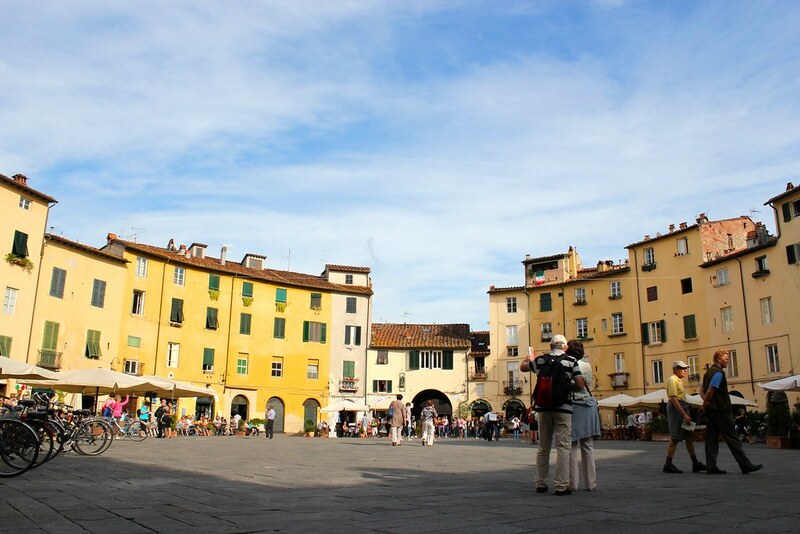 It’s easy to fill 3-4 days exploring Lucca at the pace of a local, and the city is also quite well-connected to the rest of northern Tuscany by train, making Lucca a great jumping-off point for day trips to Pisa, Florence, Cinque Terre, and more. Posts about these coming soon. Do: Rent a bike for the day to get around the city like a local – your hotel can point you towards a reputable rental company. 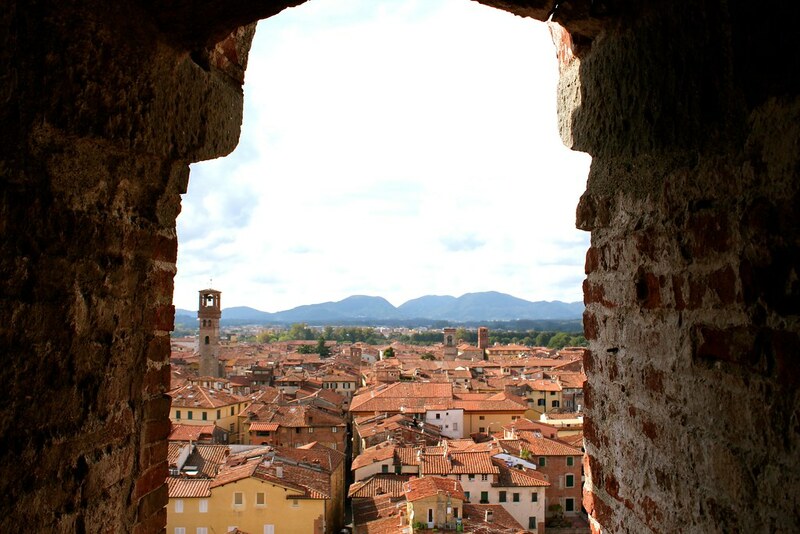 Check out Guinigi Tower for a great view of the city, check out the beautiful gardens at Palazzo Pfanner and stroll along the Via Fillungo (Lucca’s main drag) and around the Piazza Anfiteatro. Also not to miss: a Puccini concert. Eat: Ummm….everything? You won’t find a bad dish in this town. Check out the local markets for an impromptu picnic and wander into any street cafe that strikes your fancy. Pack: A striped maxi dress will look great anywhere, a cardigan that doubles as a jacket for cooler evenings, and cropped cargo pants for sightseeing and bike-riding. Save some space in your bag for amazing leather shoes and bags! 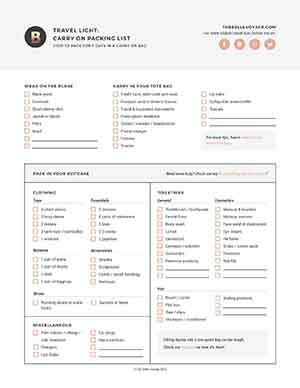 For more packing help, check out My Best Packing Tips for Women, and the Europe Travel Capsule Wardrobe I’ve put together. I also have some awesome travel gear in my shop that you should grab before your next trip. Happy Travels! You’ll love my travel guide to Bellagio. Besides Lucca, it’s my other favorite city in Italy! And be sure to check out my travel tips for going to Italy for the first time.